Four people wearing yellow chemical coveralls are slowly moving in the City Square in Melbourne. It is Re-vault a performance about Vault, Ron Robertson-Swan’s ill fated sculpture that once stood in the City Square, hence all the yellow. 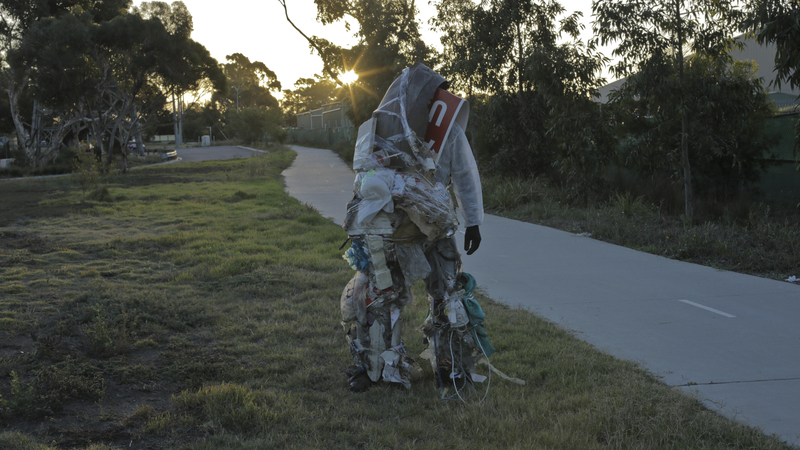 It is one of EPA’s performances, part of Melbourne 47 “senses of the city” paid for though Melbourne’s Arts Grant Program and Monash University. Two of the performers are manipulating planes of steel grids for concrete reinforcing. These modernist grids refer to the angles of the steel planes of Vault. The other two people are tied together with yellow and black barrier tape. They act as pedestrian control and a human safety barrier creating a space between the shallow pools and the Christmas kitsch that is under construction in most of the square. 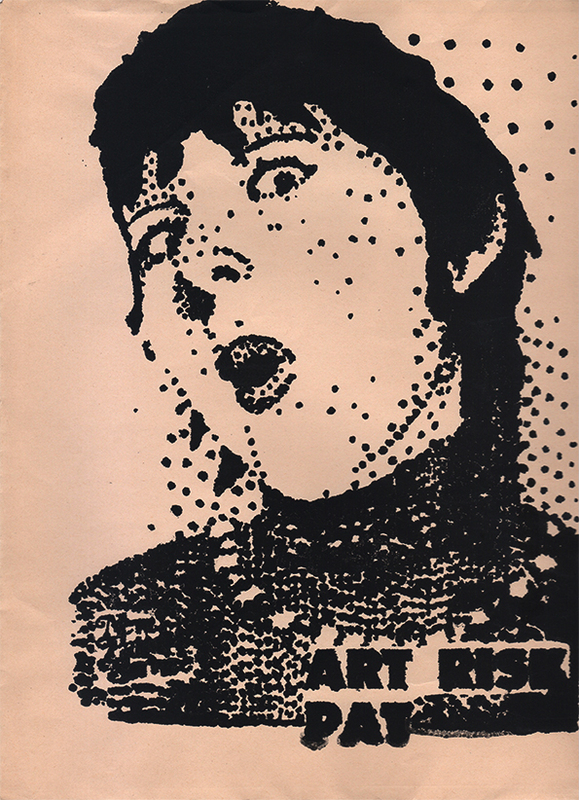 Jonathan Sinatra’s performance piece comes 35 years after Vault’s removal. The Christmas construction means that the performance could not be anywhere near the original location of Vault, in the northwestern part of the square. Not that it mattered as very few people passing by would have any idea of Robertson-Swann’s sculpture that now located in the forecourt of ACCA. Although the limited audience of passing school groups, tourists and locals had no idea of the original sculpture the performance did. Aside from the obvious yellow there were a couple of other references. Vault was intended as a grand interlocking sculpture and Re-vault’s body-sculpture also acts as an interlocking sculpture, although less grand. I take a seat at the Caboose Canteen order a pulled pork slider and a cider and watch the performance unfold. It is a beautiful day, the first day in Melbourne over 30 degrees since March. It was the perfect seat until the performers move one bridge up. It reminds me that these band of shallow water and the very shallow water pouring down the surface of the John Mockridge Fountain are the vestigial remains of the all important ‘water feature’ found in the original architectural brief for the square. In the original city square water the smell of chlorine filled the air as water poured over an enormous multi-stepped fountain. There was so much chlorine in the air that it pitted the bronze sculpture of Burke and Wills. Fortunately water is being used more wisely now. 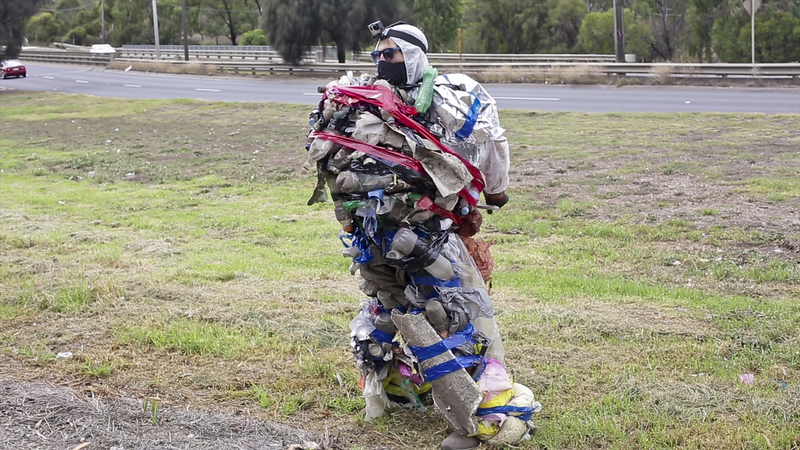 A human rubbish pile slowly walks through the outer suburban landscape of Melbourne, Australia. 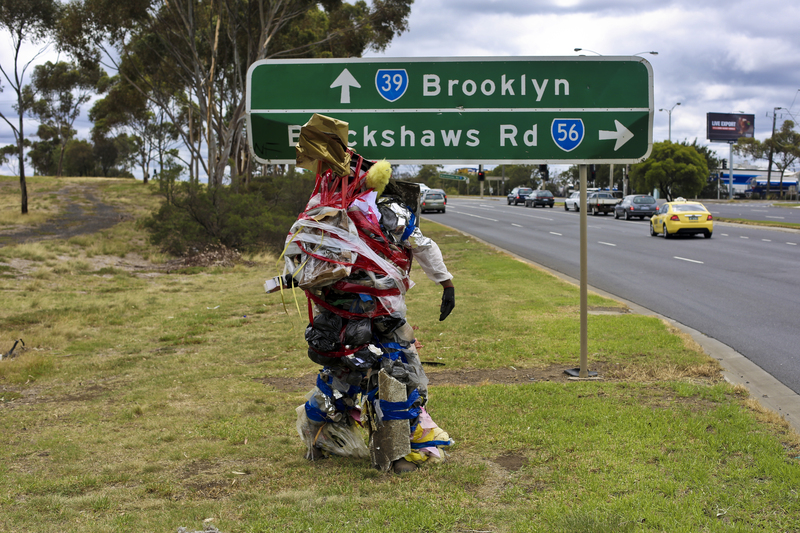 It is Scartato by artist Michael Meneghetti, a performance work that blends environmental issues with endurance, psychogeography and body art. ‘Scartato’ means ‘discarded’ in Italian. Meneghetti is a hard working Australian performance artist. He creates works that require endurance and extreme physical activity. His performances sculptural qualities of altering his figure and the way he moves through an environment with stilts or by carrying heavy things like wooden stocks or a large BBQ, see my post on Performprint. I ask Meneghetti how he become interested in ‘fly-tipping’ (illegal rubbish dumping)? I had to ask if he had encountered any mattresses, or larger items? And what was the strangest object that you found while doing Scartato? Scartato was divided into three, two hours expeditions exploring his local neighbourhood. I asked Meneghetti what he did to prepare? In conjunction with his performance art Michael Meneghetti also curates videos for various organisations including: Melbourne’s Federation Square, Excerpt Magazine, and Propaganda Window, a peer-funded public art project that ran from 2008-2012 as a dedicated video projection space on the external windows of Melbourne gallery, Dark Horse Experiment. So Scartato concluded with a video of the work projected across three shop front windows in the Eames Avenue shopping strip in Brooklyn with local music outfit, The Renovators providing a live soundtrack.